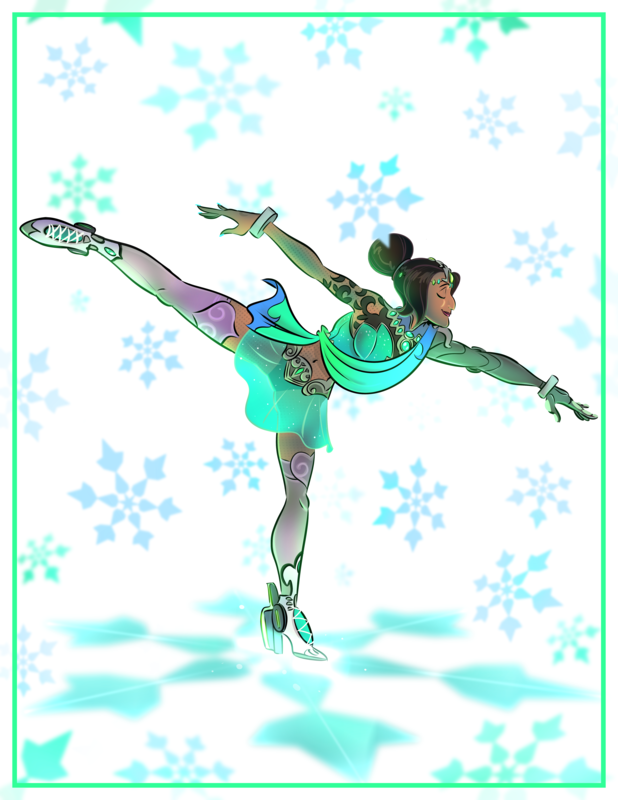 Just before Overwatch: Winter Wonderland launched, six talented community artists helped us bring our holiday-inspired skins to life, each crafting a work of art in their own unique visual style. A freelance illustrator and designer in the film, advertising, and game industries, Michael Matsumoto enjoys creating art that that evokes a grand sense of storytelling and wonder. His taste in art is influenced by a lifetime fascination with fantasy and science fiction, as well as many late-19th and 20th century illustrators. 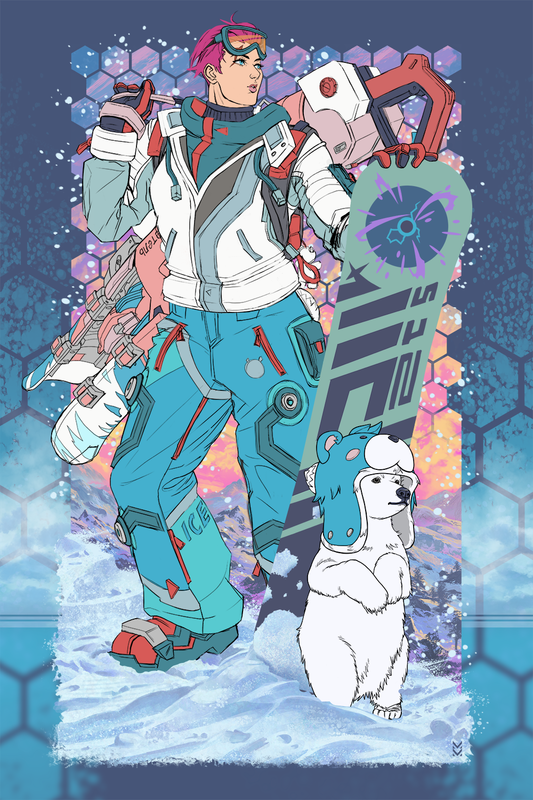 When Matsumoto chose to paint Snowboarder Zarya, he was inspired by how the skin moves away from her classic militaristic look and shows a more relatable side of the character, while still maintaining her strength and beauty. "[Zarya's] fascination with bears, which was always hinted at in her skins and voice lines, has finally, manifested into a fun, festive look, "Matsumoto told us. "It's become one of my favorite event skins for the tank hero!" To see more art by Matsumoto, you can follow him on Facebook and Instagram. “I'm really happy I got to create a piece for Lúcio. He's very fun to draw for me!” says OnstaMonsta, a US-based illustrator from the East Coast. 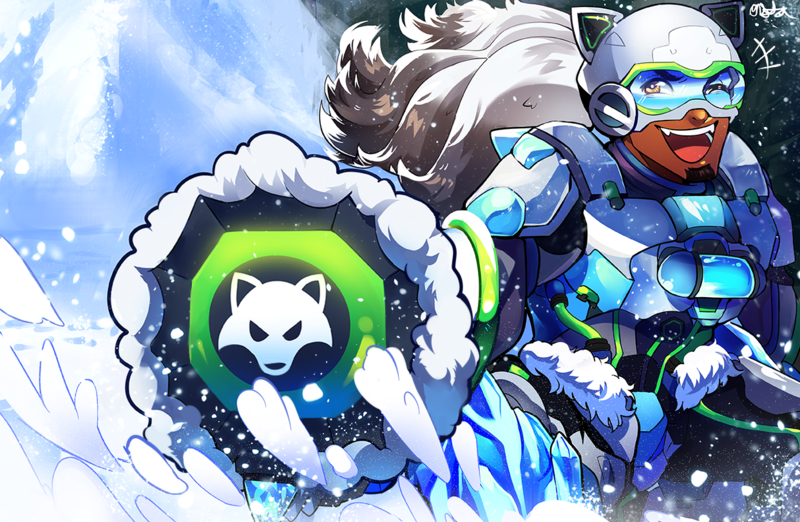 Lúcio is her favorite hero, so selecting Winter Fox Lúcio was an easy choice. When not drawing, OnstaMonsta spends a lot of time playing Overwatch. To see more art by OnstaMonsta, you can follow her on Twitter. 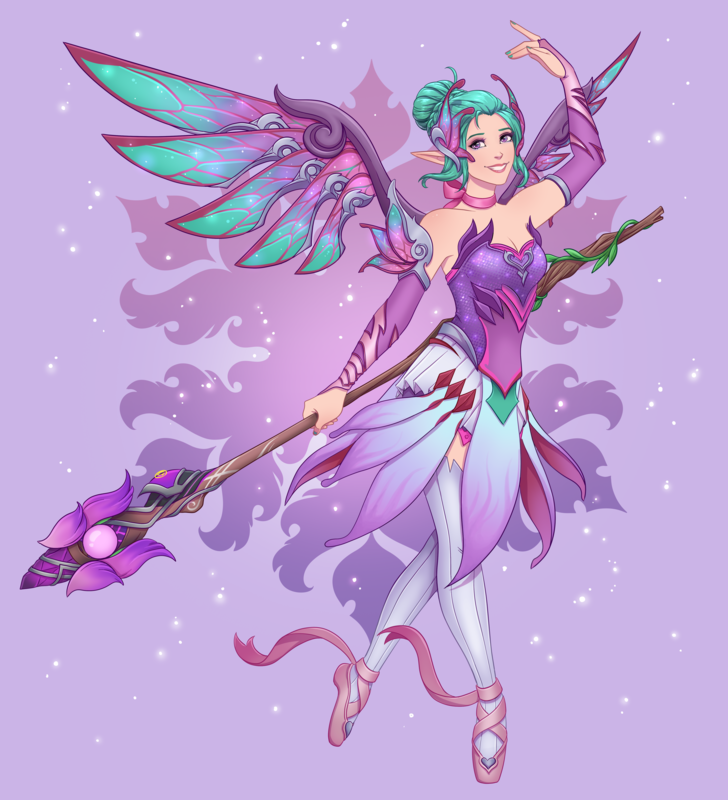 If you've ever seen Faebelina's artwork, you know that Sugar Plum Fairy Mercy was an obvious choice. The fairy aesthetic, the colors, and the overall mood of the skin made it a perfect fit. To see more art by Faebelina, you can follow her on Twitter or on Instagram. Dashiana is a 2D video game artist and animator who creates concept art for mobile games and works hard to emphasize the expressiveness of her characters. 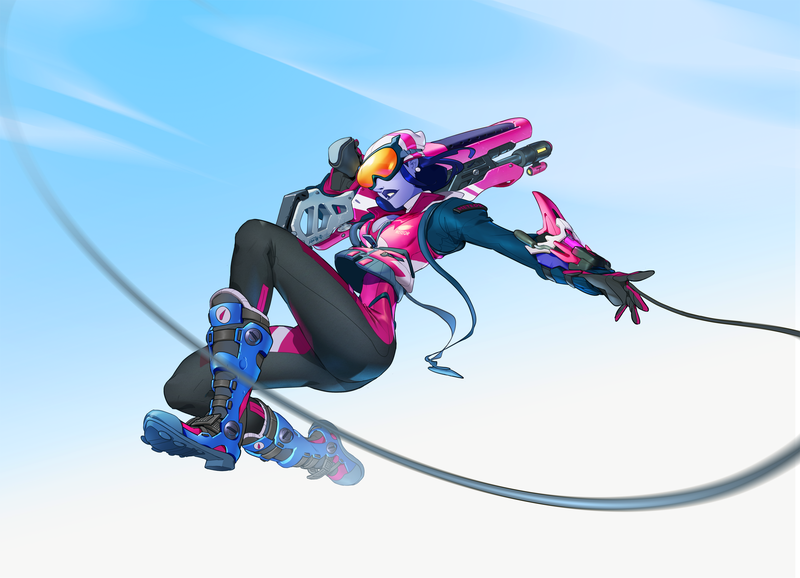 For Dashiana, Biathlon Widowmaker stood out thanks to her bright colors—a departure from Widowmaker’s classic appearance. To see more art by Dashiana, you can follow her on Twitter. Cartoonist Mike Krahulik created the Penny Arcade webcomic with his friend Jerry Holkins over 20 years ago, and it spawned an empire that includes the PAX conventions around the world, the Child’s Play charity, and more. Since Symmetra’s one of Mike’s favorite heroes, it was a no-brainer. To see more art by Mike Krahulik, you can follow him on Twitter. Fueled by a love of video games, Cypritree is a freelance illustrator who works to capture the essence of an individual moment. “I love infusing a sense of movement and energy in my work, like you are viewing a moment in time and you can perhaps feel where the subject came from or where they are going,” she said. 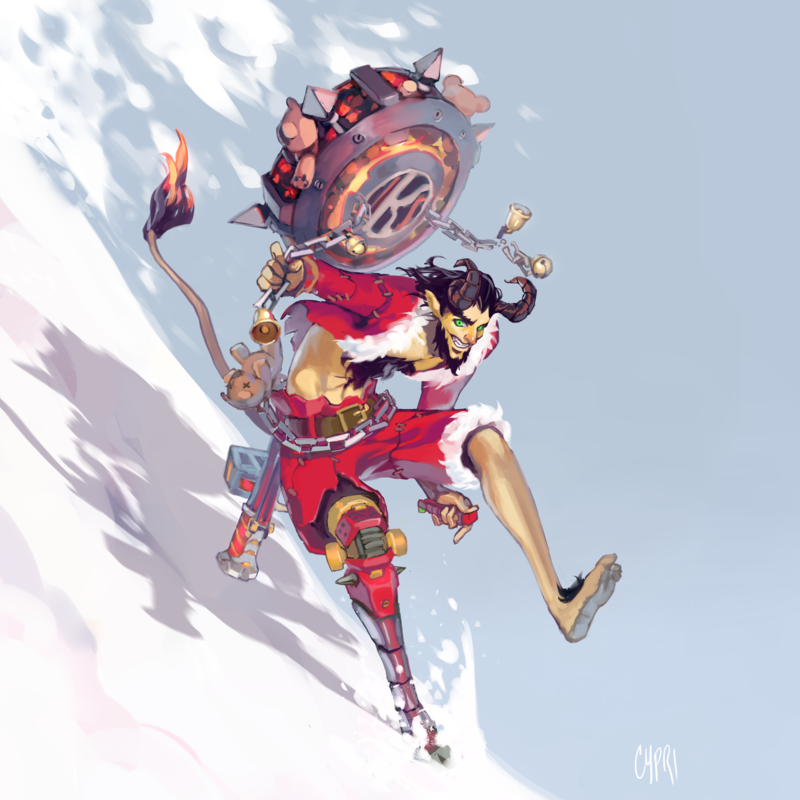 For Cypritree, Junkrat's Krampus makes a lot of sense for the hero. To see more art by Cypritree, you can follow her on Instagram or on Twitter. We’re so lucky to be able to work with such talented artists in the community. Feel free to share your fan art on Twitter and Facebook. Snow up in-game and check out Winter Wonderland now! Don’t get cold feet—Winter Wonderland melts away January 2.